When a market is at the expansion phase, it may be tempting for an investor to get in at the earliest possible time, but for a market like Montreal, you should never make the mistake of taking the plunge simply because you know the prices will go north and you are likely to have a good return on your investment. You should note that the prices of condos have grown considerably across all the boroughs located on Montreal Island. For example, Mont-Royal recorded the highest appreciation rates where the average rates of a condo went up by a whopping 21% per annum, with the price being around $420,000. Irrespective of the exact neighborhood you are interested in, it is imperative to have a closer look at the appreciation figures, and know where you are more likely to get a great deal in 2019. The rates are not going up uniformly, and with a little digging, you can find some places where the rates are yet to hike, and therefore can make a very promising destinations for investing in a condo. There are quite a number of strategies you can employ to get the most out of a market that is in the expansion phase, like the Montreal condo market. You should remember that during this phase, most investors and developers have a higher degree of confidence in acquiring new properties because the risks are low and the tenant retention rate is also high. These are the times when most investors prefer to put their money in Core-Plus properties, because they come with lower risks. If you are planning on investing in a condo in Montreal at this time, you need be very strategic with your approach and think like an investor and a developer. Yes, the market is looking good, but this is not to say that you should go in blindly. With the Core-Plus concept, now would be the best time to consider investing in a neglected Montreal home for sale, then carry out some renovations to bring the property up to standards, so that you can sell it at a higher value price should you decide to get rid of it at a later date. The activity in the condo sector in Montreal is not about to slow down, when considering the millennials. An influx of young professionals in the city has not only driven up the demand for condos, but also for other property types because this set of demographic are very specific in terms of what they want from a property. For example, they appreciate living in close proximity to business centers, where they will find all the amenities for convenience without much hassle. They also don’t want to spend a lot of time in traffic, and they like it when their homes and places of work are not too far away. 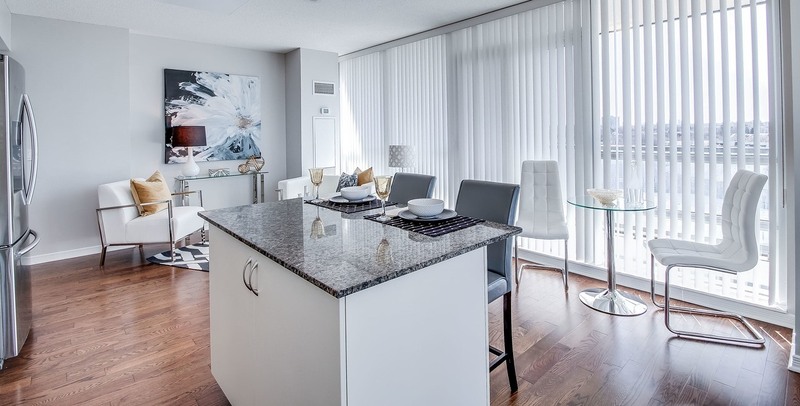 Consequently, condos appeal the most to this generation, and the prospects of good returns in the future are very bright should you choose to buy a condo in Montreal in 2019. The other thing that makes Montreal appealing for condo investments in 2019 is the resale value of these properties. Whenever you are investing in a property, you always want to be certain that you will manage to sell it at a price higher than what you purchased it at, because this is the only way to make a profit. The resale value for condos in Montreal is relatively high compared to other markets, and this is more icing on the cake for those contemplating on buying properties in 2019. Set up alerts for property repossessions in the neighborhoods you are interested in. Most of the repossessed homes usually sell below market value, simply because the banks are selling, not the owners. Always ask for a free professional evaluation if you think a condo may be listed below the market value. Request your broker share with you their BMV properties. Most brokers normally have pre-market BMV properties, some of which may be sold quickly even before they get listed online. Subscribe to lists from realtors for deals so that you can get emails whenever there are new BMV properties hitting the market. Some of the places to focus on for affordable condos in Montreal in 2019 include-: Saint-Leonard, Lachine, Dorval, Montreal Nord, Lasalle, Saint-Laurent, Pointe St Charles, Cote Des Neiges, and Ahuntsic.